Assertive style and high performance are characteristic qualities in the latest crop of new products and collections for the kitchen and bath. Often drawing on designs of the past, they nonetheless present an advanced aesthetic. 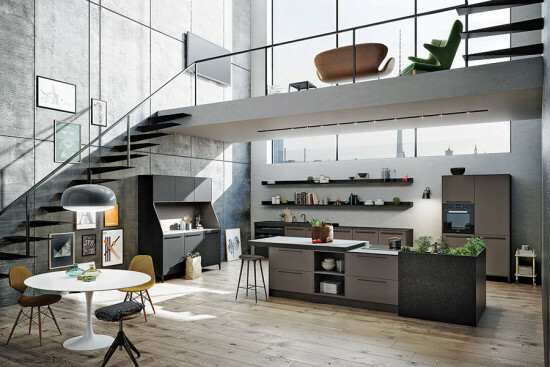 The W line dramatically re-envisions cooking appliances. The collection includes a freestanding “oven tower”, an induction “table” with four burners, and a ventilation hood, as well as an armoire-type cabinet and work table of oiled oak. The components are contemporary, yet maintain certain hallmark details of La Cornue, such as the control knobs and the towel bar that runs the length of the cooktop. Designed by Jean-Michel Wilmotte. With its mix of stylistic elements, the Urban design theme reflects the contrasts and vitality of city living. Central to the program is the SieMatic 29 sideboard; its mitered and rounded side panels and gently curved pedestal are a contemporary update of the traditional piece of furniture. 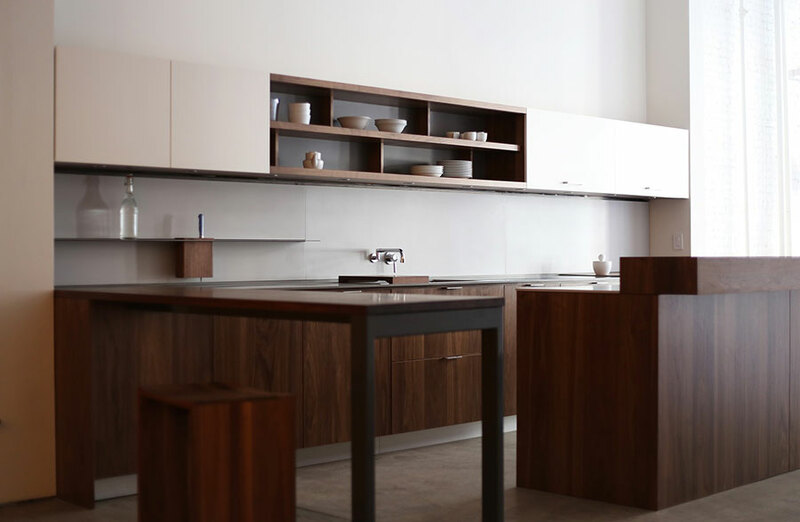 It is complemented by a variety of freestanding cabinet units, featuring open shelving, cupboards, and drawers. Part of the Cape Cod suite of bathroom furnishings and fixtures, this console vanity uses a simple palette of materials in an expressive way. 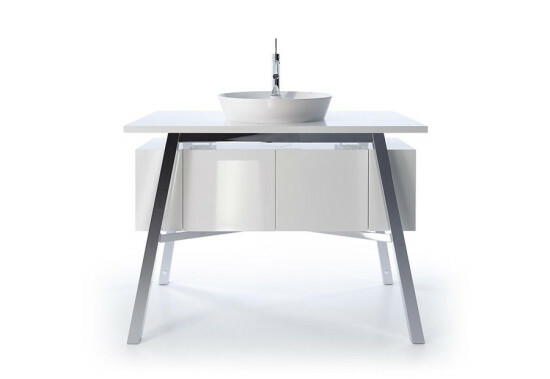 The frame is rendered in cool, smooth chrome, while the cabinet boxes and horizontal surfaces are offered in a choice of high gloss white, as well as four wood finishes: American walnut, European oak, vintage oak, and white beech. The vintage oak model brings an extra touch of nature into the bathroom as its countertop features an irregular live edge, making each piece of furniture unique. Designed by Philippe Starck. Select products in the MGS MB Bath Collections are now available in Black Steel, a matte black finish for solid stainless steel fittings. 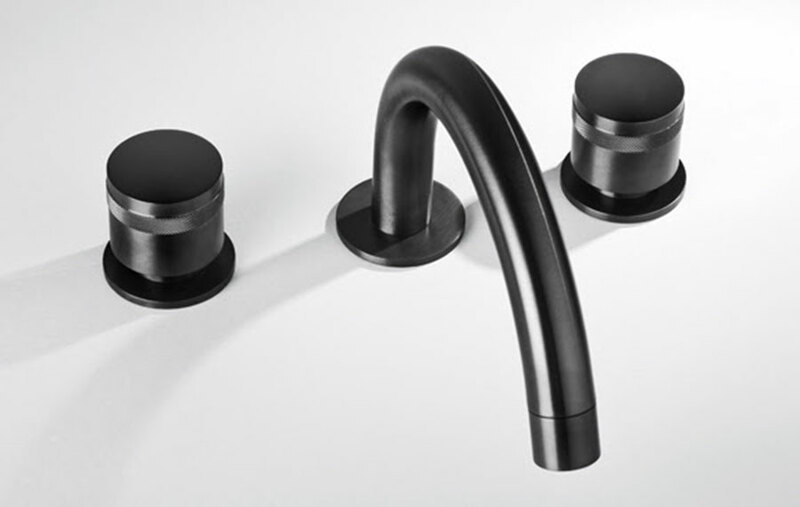 Shown on the MB282 widespread three-hole faucet, Black Steel has a refined yet edgy appearance. Unlike a powder-coat or electroplated finish, Black Steel is produced using Physical Vapor Deposition (PVD), a process used in aerospace, military, and high-tech industries. Through PVD, the color actually penetrates the metal, resulting in a smooth, durable finish that is consistent throughout every component of the faucet design. One element of a complete collection of fixtures and fittings, the ILBAGNOALESSI One water closet is available in both floor- and wall-mount models. 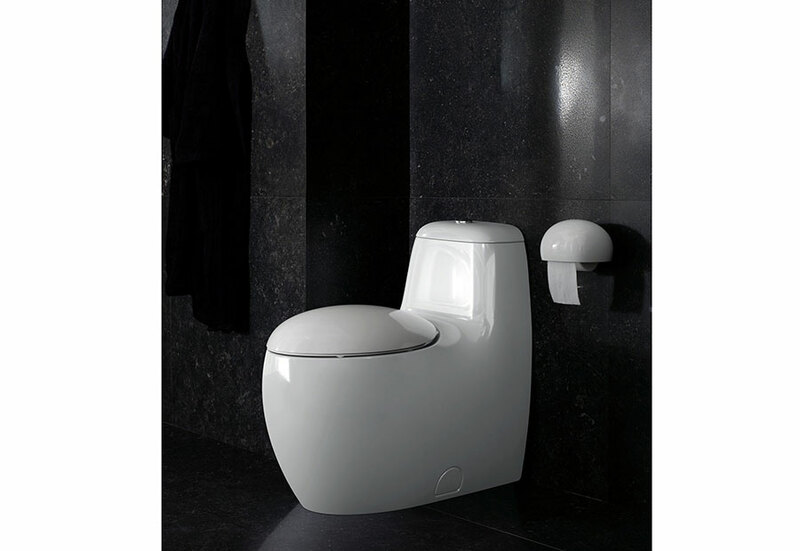 WaterSense certified, the dual-flush fixture features LAUFEN Clean Coat, a glaze-in-glaze finish that ensures dirt and bacteria are easily rinsed away. Designed by Stefano Giovanni, in cooperation with Alessi and Laufen. 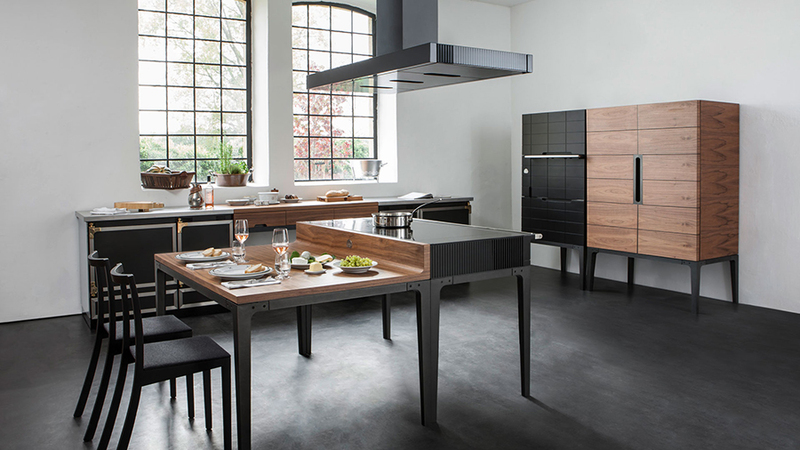 Henrybuilt kitchens combine the integrated design and functionality of a “system” kitchen with the flexibility and personalization associated with custom-designed rooms. Spaces that are refined without being overtly precious, and that are technically sophisticated—without being cold or difficult to maintain—are the result of an individually focused design process.